Fishermen&apos;s Paradise! 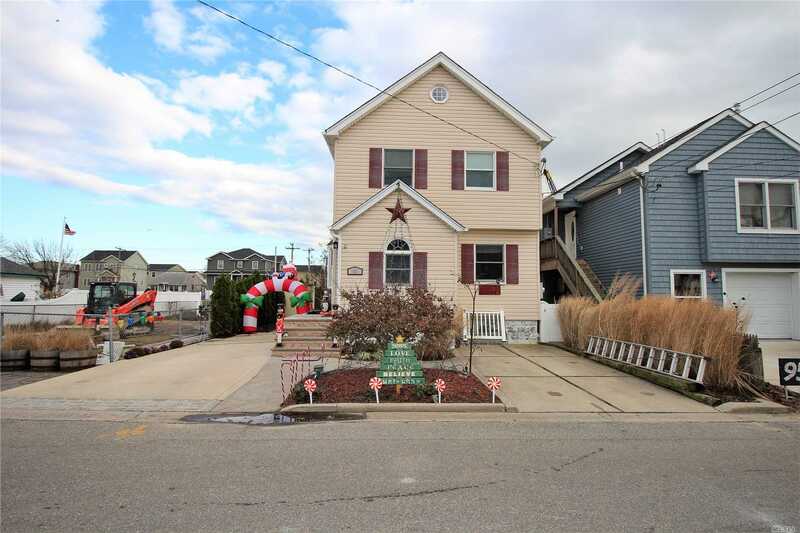 Beautifully Bay Park 1740 Sqft, 3 Bedroom, 2 Full Bath Waterfront Colonial. This Features Formal Dining Room, Updated Kitchen W/Stainless Steel Appliances, Laundry Rm & Pantry, Large Family Room W/Sliders To Deck, Large Bedrooms, Bathroom W/Soaker Tub & Separate Shower, Large Stand Up Attic, Basement W/6&apos; Ceiling, Gas Cooking & Heating, 2 Ductless Cac Units, Solar Panels, 3 Parking Spots, Brick Patio & Private Dock On Wide Deep Canal Seconds From Bay. Basement: Full Basemen W/6&apos; Ceiling, Storage & Heat.